A three-day weekend is nearly here to honor the brave soldiers who lost their lives while serving in the United States’ armed forces. Memorial Day is held on the last Monday of each May, and also marks an unofficial start to summer vacation. Occasionally confused with Veteran’s Day, which celebrates those both living and deceased, Memorial Day specifically commemorates the ultimate sacrifice that many brave souls have made. Previously referred to as Decoration Day for the practice of decorating soldiers’ gravestones, Memorial Day became largely used as the holiday’s name after World War II. Poppy flowers are traditionally chosen to honor fallen military, originating from Lieutenant-Colonel John McCrae’s poem, “In Flanders Fields.” The first lines read, “In Flanders fields the poppies blow/Between the crosses, row on row.” Since then, several writers have created poetry dedicated to soldiers, utilizing fountain pens such as Conklin’s Crescent Fillers to make their mark. Early observances of the day date back to Civil War times, when Americans first held tributes in spring months due to the overwhelming amount of fallen soldiers. Aside from visiting cemeteries and offering prayers, flowers, and other tokens of appreciation, Americans also hold parades or head off for weekend getaways. Despite the holiday feeling grim at the loss of life, the observance of this day allows for much-needed rest. Research shows that taking time for relaxation has serious health benefits, so don’t feel guilty about utilizing that extra day. 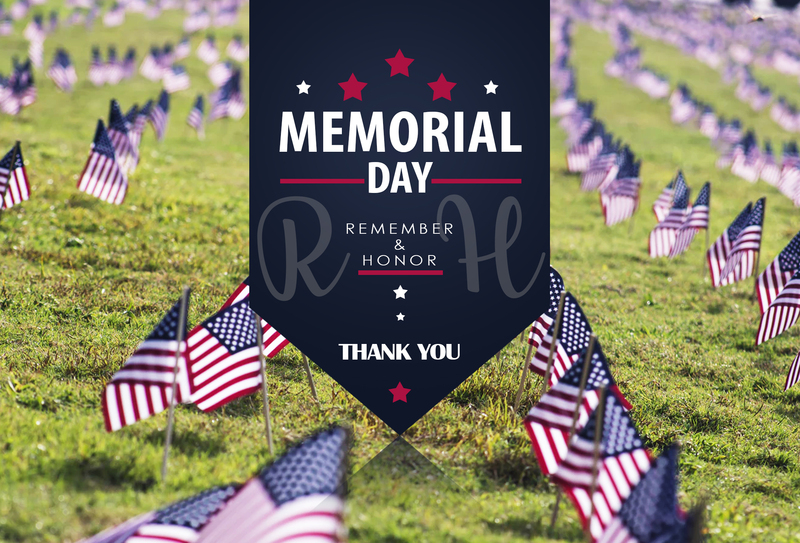 Yafa extends a thank you to those who have served in the United States armed forces, and wishes you all a Happy Memorial Day with your loved ones. Interested in gifting a pen to a soldier, or looking for a writing instrument that reflects your patriotism? Check out our Conklin All American collection, created to represent the resilience of the American spirit. The All American pens come in a variety of shades, from shimmering Lapis Blue, to flag-inspired Old Glory.